Each and every one of the Iketeru Hearts members birthday lives are different! Next up was March, 17th at Garret Udagawa in Shibuya, where we celebrated Koizumi Shiika’s birthday. We were totally ready to spend an afternoon tinged with pink light and twintails! Under a dim light, the star of the day arrived alongside the rest of the group, but stood out greatly thanks to her outfit, as she was wearing a handmade candy pink dress, her hair styled into her legendary long twintails. Her comrades were wearing the exclusive T-shirt designed for the day in Shiika’s honor. 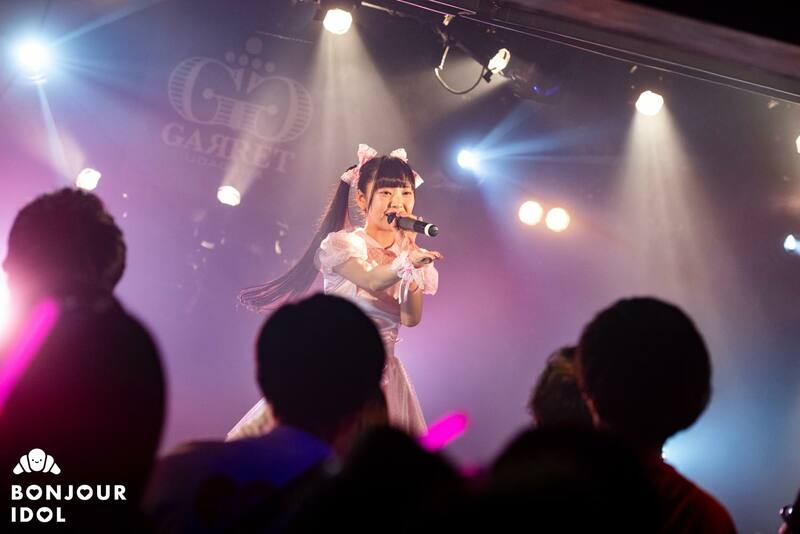 In a concert hall filled with both fans and joyfulness, Iketeru Hearts started the show with three songs: “TINT”, “HEARTS OF JOURNEY” and “GIRL,Me♥”. As the fans began to warm up, a first MC started, introducing each member then putting the spotlight on Shiika. The star of the day added that her dress had been designed and made by her own grandmother, which, she explained, was the symbol of their very strong relationship. The members confirmed that her outfit suited her wonderfully, adding a few words about the pretty decorated “Happy Birthday” banner, hanging above the stage. As it is usually for Iketeru Hearts, the birthday girl gets to sing two songs of her choice alone on stage! On this day, Shiika started with “Chikyuu Saigo no Kokuhaku wo”, a quite difficult song with a fast beat. But her voice did not falter at all, with the help of the loud cheers from the fans, a wave of pink light glowing from the audience. 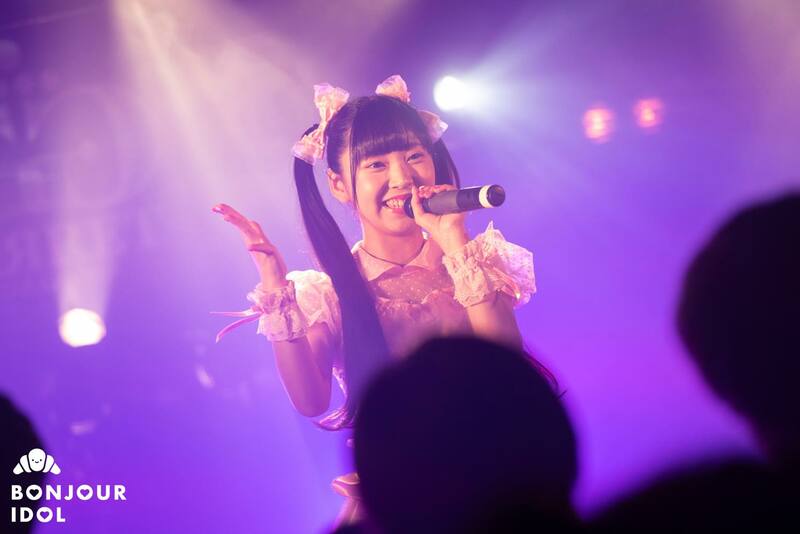 Shiika continued with her second song, “High Touch☆Memory” – a very wise choice as the style, the many fan chants and wotagei dance moves of the audience echoed perfectly Shiika’s orthodox idol image. Back with the entire group, “Jumping”, “Lumica Jane” and “Karma Stripe” followed on smoothly and closed main part of the concert. Shiika came back on stage alone for the encore and shared a few words with the fans until the other 8 members joined her, with several armfuls of gifts; a pink birthday cake, a beautiful bouquet of the same color and a photo album. In one last speech, Shiika mentioned her past auditions and her desire to become an idol in order to propagate her own smile in order to create new ones, despite her lack of self-esteem back in the day. Shiika’s fans, her groupmates and even her family who came for the occasion then celebrated the idol’s birthday during one last performance on this “Happy Day = Beautiful Day”.